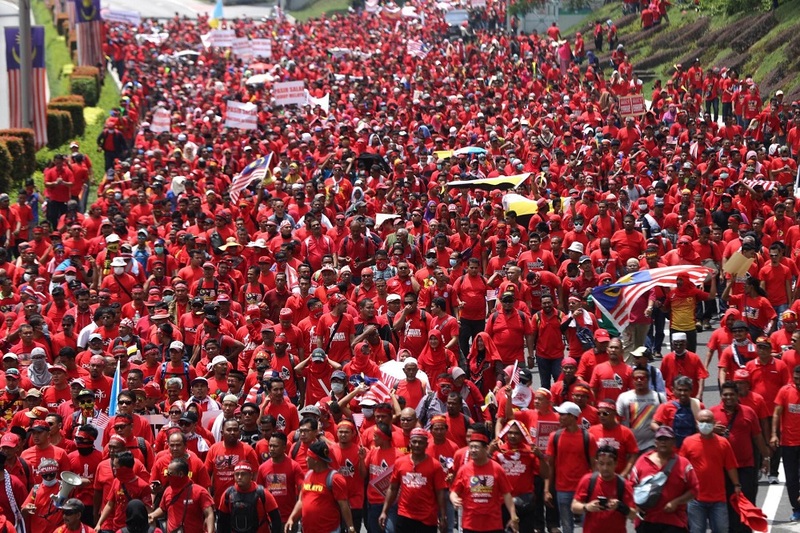 The Problem With Our Response To The Red Rally "Protek Boys"
A “Himpunan Rakyat Bersatu” or “Red Shirt Rally” was held on the Malaysia Day, September 16 and the name was so because red was set to be their colour theme, as opposed to the Bersih rally, which was yellow. 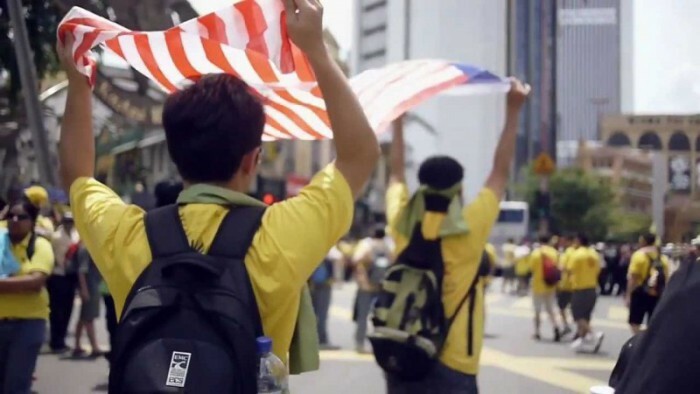 The sentiment was seen as to uphold the rights of the Malays, however the rally ended up causing uproar between other ethnicities, which are being referred to as pendatang. This “legal” rally has caught the attention of both local and international media. 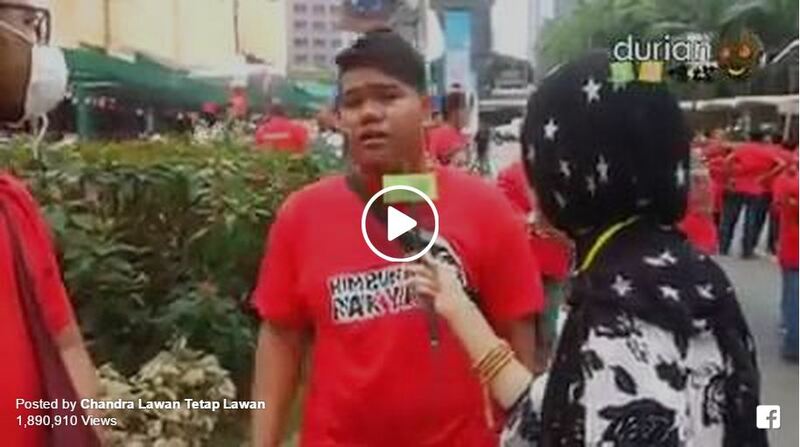 On the very same day, a video of two Malay youths being interviewed by an international media was uploaded on Facebook. The video drew some attention to the eye of Malaysians and it went viral instantly. In the video, the two youths seem to have problems with responding fluently in English and there are also many pause fillers in between sentences like ‘arr, umm, oh, no, eh’. The two lads also seemed to have failed in answering what the Red Shirt Rally’s objective was all about. This eventually has brought netizens at their best—for being keyboard warriors. Ever since then, there has been a lot of negative remarks about these two chaps and those remarks aren’t pleasing to read. Most of the comments are centered on how they failed to communicate in English fluently, as to some it is an embarrassing incident for the whole nation. First of all, people are so quick to judge and slow to understand the situation. In this case, it is important to note that English is not the first language for majority of people in Malaysia. While it is easy to point fingers and cast stones, we should first ponder: how many of us do know English perfectly and does ridiculing them actually help to solve this problem? It is ironic to note that some comments by some of those angry netizens are not perfect English either. It is true that English is important but we ought to know that some Malays can’t even speak Malay properly, some Chinese can’t read Chinese characters and some Indians don’t know how to speak Tamil. On the other hand, perhaps what we should be doing is give some proper thought to what we can do to help these lads (or rather, the younger generation in general) improve their English proficiency, instead of just expressing shallow thoughts about their spoken English. Second of all, we need to ask what have we gained by ridiculing these youths for not being at a rally but not being able to really explain why they are there. Education and awareness are the two elements that lacking here; unfortunately, being judgmental and condescending will not help these boys to understand the political and economical situation of the country any better. How are they suppose to be any more aware of what they are doing with all the insults that they are receiving? Facebook page Kita Kawan Mah summed up their positive response very well. Instead of jeering at the boys, who are now popularly referred to as “Protek Boys”, they chose to respond in a manner that seeks to close the divide between us. Saying that “we are all pawns in a cruel game”, the admin of Kita Kawan Mah understands that manipulation and deceit is the enemy’s strongest weapon—and the enemy isn’t people of different races from whichever rally. Another issue noticed during the Red Shirt Rally was a racist remark cina babi, chanted by the protestors. In a quick response to the aforementioned racist slur, an assemblyperson from DAP, Lau Weng San mentioned on Facebook that he would act differently and these racial slurs do not offend him at all. On top of that, he would definitely love to take these people for a halal meal instead to discuss the matter. This is what it takes for Malaysians to grow up—stop fighting hate with hate. 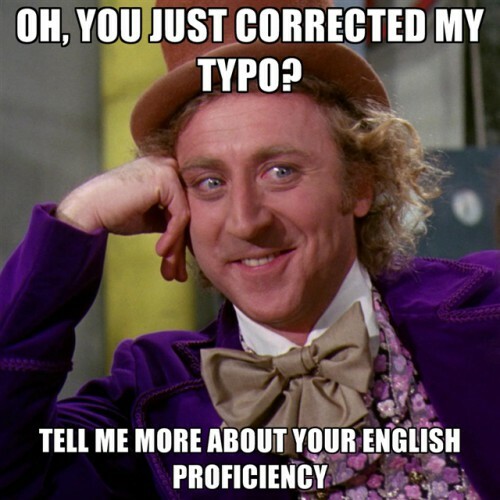 So the next time we see someone speaking poor English, if you truly care about the country’s standard of English, instead of being a Grammar Nazi, do something productive and get to know them to help them out. The next time we see someone criticising a religion or race, instead of being a keyboard warrior or making racial remarks, have a nice long dinner together to talk it over and obtain a level of mutual understanding. In my humble opinion, I think both Bersih 4 and the Red Shirt rally have strengthened us more than before in a way that everybody has failed to see. One bad apple doesn’t really spoil the whole bunch. I try hard to avoid being cliché, but sometimes a cliché is needed. If these rallies haven’t taught us to be the real 1 Malaysia, then I don’t know what will. I would like to take this opportunity to give a shout out to all Malaysians that we can live in harmony if we help each other to become a better nation; respect each other, help each other and understand each other. Only then, can we love each other the way Malaysians should.